PRODUCTS DESIGNED TO MEET THE DEMANDS OF DIESEL EMISSIONS. 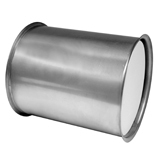 Replace damaged or contaminated particulate filters. Effective at removing soot particles from exhaust gases. Get back on the road quicker with filter replacement.